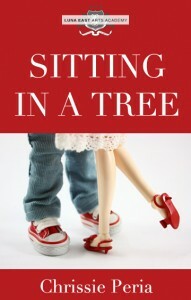 Sitting in a Tree was so cute! And it was the perfect story to open this anthology, I think. :) What was your inspiration in writing this? Thank you! Sitting in a Tree came from memories of my own high school’s annual fair. Particularly the one from my senior year, when I had to help man the Marriage Booth. No kissing booths for us, Catholic school and all, so the marriage booth was the closest thing. (Yes, marriage was more acceptable than kissing. Go figure.) We had students whispering requests on who they wanted to be paired with. Kilig for all, and we made money. Perfect, right? 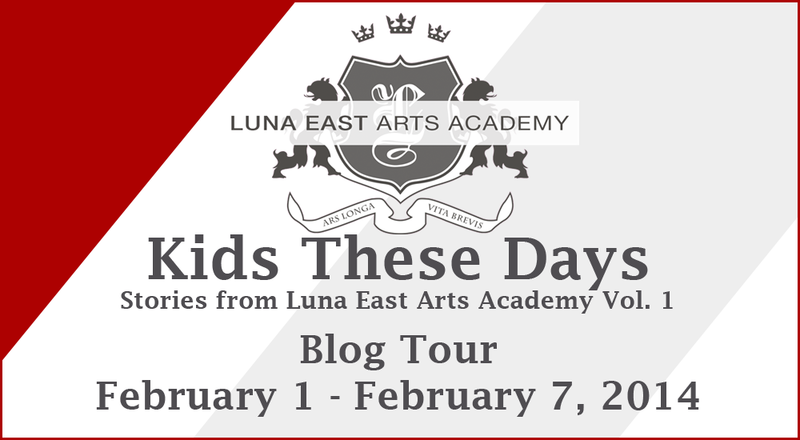 If you were a student in Luna East Arts Academy, what kind of student would you be? Would you be a jock, or a writer in the paper, or maybe part of the drama club like Samantha? A writer for the paper, definitely, because it’s fun to be one. 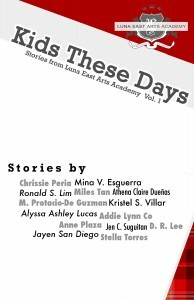 In fact, I have a half-written Luna East story that draws heavily on my own high school days as a campus journalist (eons ago). Maybe it’ll show up in the second anthology? I’ll cross my fingers for that one. What do you suppose the food in the Luna East cafeteria is like? Do you think it’s something you’d post about in your food blog? Art is influenced by things we come in contact with, food included, so I’m sure the school administration will provide a diverse array to ensure that the kids are exposed to a variety of influences. I’m betting that the choices are limitless: hearty comfort food, international fare, healthy and ethical food choices, and everything bacon. And bacon is always blog-worthy. You had me at bacon. Mmm. 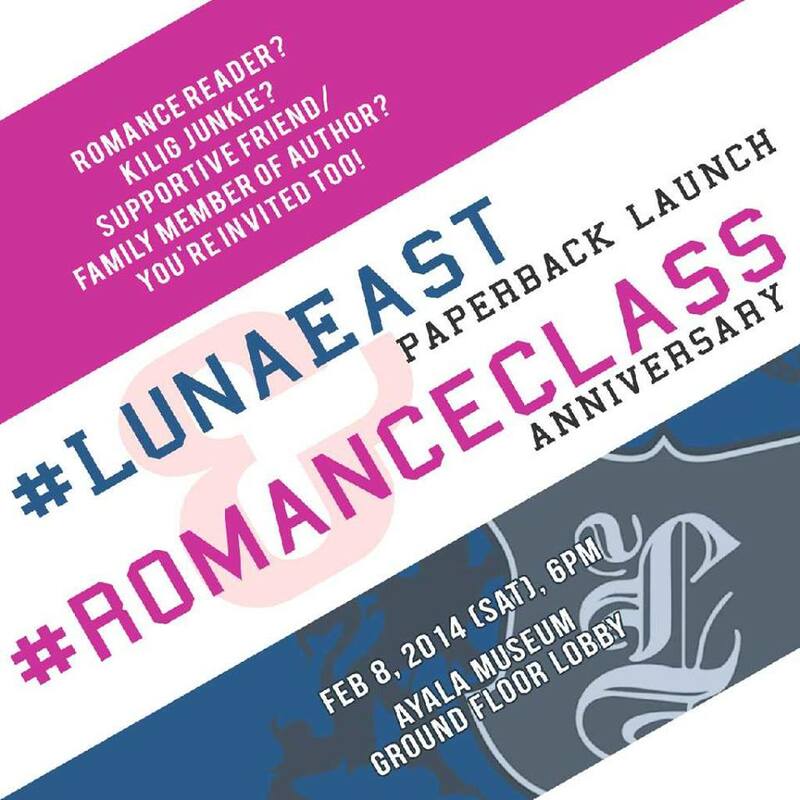 An All’s Fair in Blog and War question: who do you think would fit in the Luna East crowd better – Five or Jesse? If they were students in Luna East, do you think they would have acknowledged each others’ presence there? Jesse! He’ll fit in perfectly, in that ironic-hipster-I’m-an-artiste (with an e) way. He was probably stalking the fringes of the student body, taking artsy black and white photos for exhibits. Five, on the other hand, would’ve been a photographer for the school paper. She was probably in the middle of everything, covering everything from sports events, campus assemblies, to what’s being served in the school cafeteria. I don’t know if they’ll acknowledge each other’s presence just because, but if circumstances threw them together, I’m sure sparks would’ve flown—and that trip to Macau would’ve been totally different. Do you plan on writing other stories set in Luna East? Yes! I currently have two pending stories: the one about the campus journalist and one about Sam’s BFF Trisha, the drama queen. Here’s to hoping they get written! 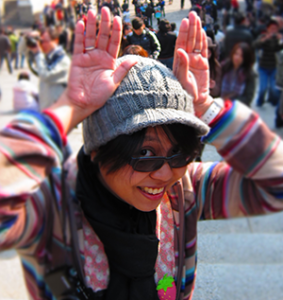 Chrissie Peria is the author of All’s Fair in Blog and War, a contemporary romance novella featuring feuding travel bloggers in Macau. When not writing, she serves her tiny overlord Miffy and Miffy’s poodle/minion, Cooper. She also enjoys cooking, taking photos and playing with dolls. Chrissie is currently working on a contemporary YA romance featuring books and boys who like books.